Last year’s 155-year-old Hamilton County Fair saw its return to relevance, with a 56% increase in fair-goers, but it also saw the debut of the GoGreen Area. 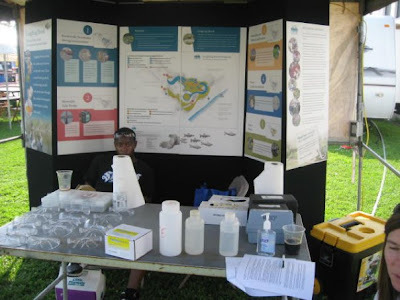 The GoGreen Area of the Hamilton County Fair focuses on environmental and sustainability awareness and educational opportunities, and it got its start thanks to the frustration of a Carthage resident. That’s exactly what McWhorter did, and with that, the GoGreen Area was born at the 2009 Hamilton County Fair. 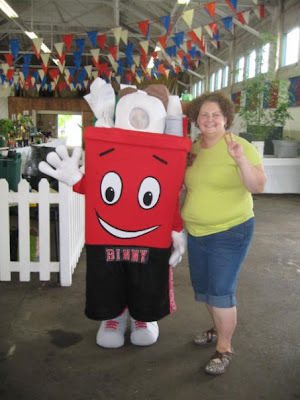 For the first year, McWhorter was able to have 23 recycling bins placed around the fair grounds in addition to the extremely popular Kids Day activities focused around her concepts. McWhorter was able to do this in part because she is certified as a Master Composter and Gardener by Purdue University. She also is a practicing vermicomposter – a composting process that uses red worms. In the end, McWhorter just wanted to share her talent and passion with other people in the community. GoGreen Area at the 2009 Hamilton County Fair – images provided. 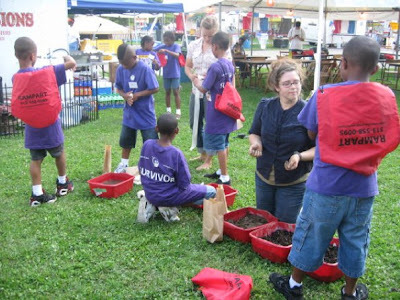 This year fair-goers can look forward to GoGreen Area partnerships with Building Value, Findlay Market’s urban gardening program. 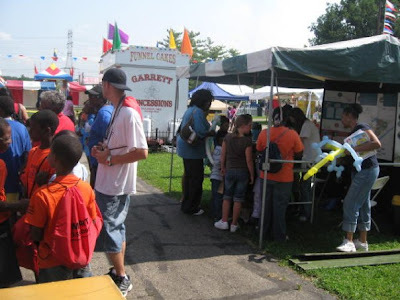 The 2010 Hamilton County Fair will take place from August 10 through August 14 and will once again include the GoGreen Area. McWhorter is looking to grow the impact this year by engaging other Hamilton County residents to come up with ideas for green events that they want to make happen by contacting gogreenwiththehcfair@gmail.com. The GoGreen Area is also looking for a sponsor and volunteers for this year’s Kids Day. Previous articlePecha Kucha + Ignite = ?